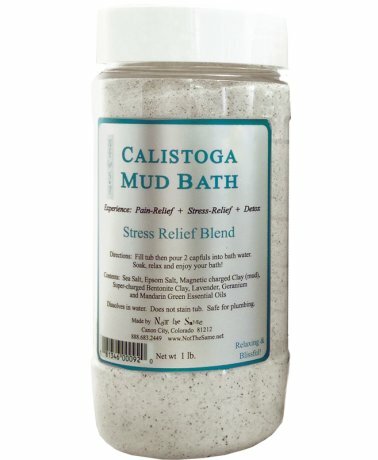 Part of the Calistoga Mud Bath family scented with our stress relief blend - lavender, geranium, and mandarin green essential oil - in a one pound jar. Part of the Calistoga Mud Bath family scented with our stress relief blend - lavender, geranium, and mandarin green essential oil - in a one pound jar. Depending upon the size of the bathtub, this packet size will provide six to eight baths.